Sounds like an oxymoron right? The Marl family are going on a car camping trip soon. What&apos;s a guy to do with a two year old and a nine-month (notice my lack of blog posts lately?) old, the wife and a two-man tarptent? There are a bunch of option out there for mega-tents. REI has somewhat cheap (couple of nights in a hotel), beastly large tents line the Hobitat 4 or Hobitat 6. The Hobitat is a monster-tent alright, with plenty of head-room for standing, which at first blush given out situation this seems useful. The little guy is still an infant – and too young to roll about on a matt on the floor, so he&apos;ll need to sleep in a pack-and-play or something, having a little space to walk around to rock him to sleep sounds tempting. 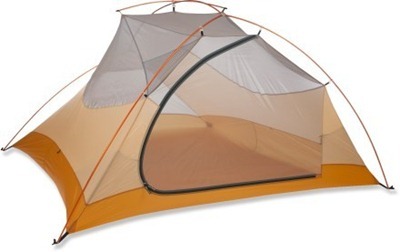 Then I look at the specs – a jaw-dropping 17 pounds for this tent. At this point I just can&apos;t bring myself to do it. Something in my core is so against buying a tent dedicated to car camping I&apos;m not sure I do it enough to justify the extra clutter in our house – even packed up – it&apos;s huge: 10 x 10 x 27! Some point in my future, I&apos;m having fantasies that the boys will be old enough we can start backpacking again as a family and sure as chips I&apos;m not going to lug a 17 pounder up any trail. After some discussion Theresa and I decide a family backpacking tent is the right option – sure we&apos;ll be a little cramped when car-camping, and little baby Jack will be sleeping in a cardboard box, but hey – that just makes it more fun right? After poking around a little, I stumbled on the Big Agnes Fly Creek UL4. On sale at backcountrygear.com for $400. It arrived yesterday and I set it up in the garden. 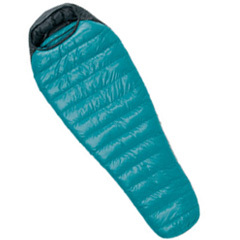 I&apos;m really impressed I haven&apos;t been that tuned in to Big Agnes as a brand, but they have a very solid product. It&apos;s unbelievably light at just over 4 lbs. The tent-pole system is awesome, they all snap-together. Comes with very light high-quality titanium pegs. Build-quality and fabric seems very high. Size-wise it&apos;s pretty darn tight for four. You have to sleep tops-and-tails and there&apos;s no room for gear other than in the vestibule, but at this weight it&apos;s at solid trade-off. Bring a black trash bag and store your stuff outside. This entry was posted in Backpacking, Gear Reviews, Sleeping on June 23, 2011 by brettm. I was surprised at how small the package was the came in the mail. 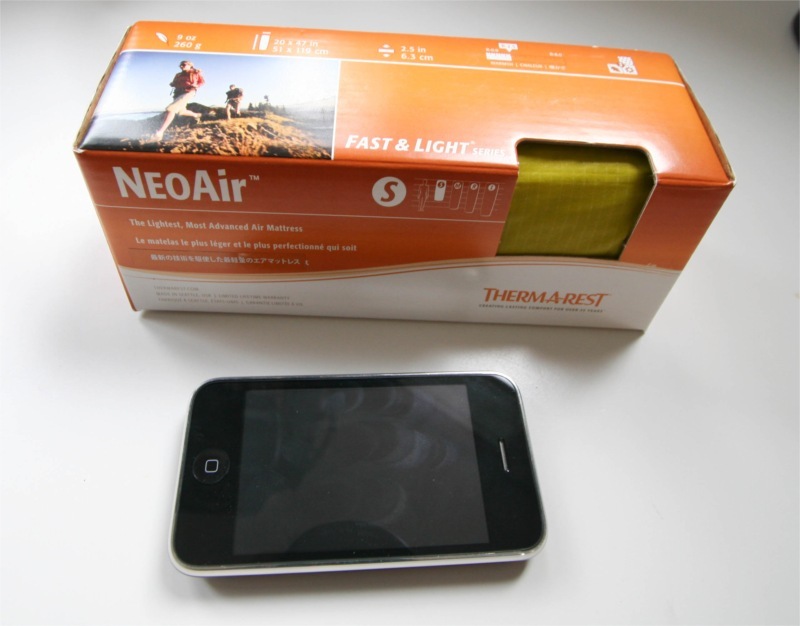 Upon opening, the NeoAir comes nicely packed in minimal packaging and is about the size of a water bottle. Here&apos;s a shot next to my iphone showing the scale. 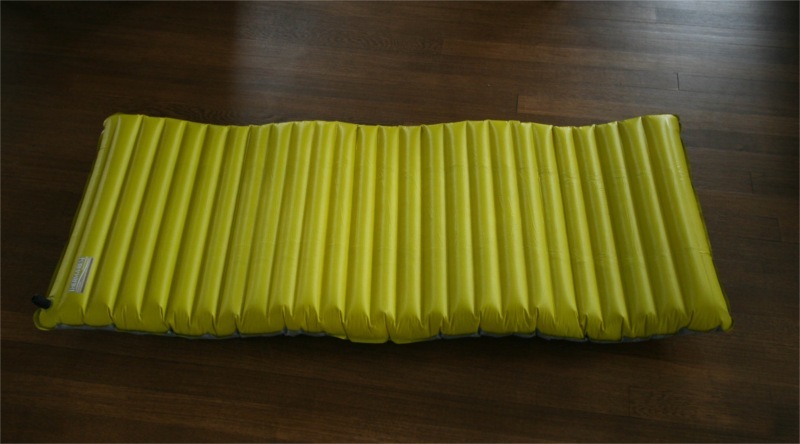 However, it is surprisingly easy to re-roll into this tight package even after being inflated. I unrolled the bundle and blew up the pad. When inflated it takes on a slightly wavy shape to it. I ordered the short model – which is quite generous in length. I&apos;ve been accustomed to my Gossamer Gear Torso pad for some time now, and this new length feels down right luxurious. I can&apos;t imagine why anyone would want the regular length unless they are snow-camping. The weight test? The specs say 9 oz for the small and 14 oz for the regular. My scale showed it at 8.9 oz after being deflated. The comfort test? On my hardwood floors at home – down right staggering. I think it&apos;s more comfortable than my bed. The thickness feels like a crazy luxury and I can&apos;t wait to field-test it. My current sleep solution is the Gossamer Gear Torso Pad, which while functional and very light at 4.7 oz (including the extra insulation pad) isn&apos;t exactly a comfortable nights sleep – but I&apos;ve gotten used to it. The ultra plush comfort is certainly going to give me a good reason to re-think my sleep solution and consider a 5 oz gain for a better nights sleep. Although the weight penalty might be higher, as my Torso Pad currently doubles as a my packs back-pad eliminating weight from my GoLite Jam. 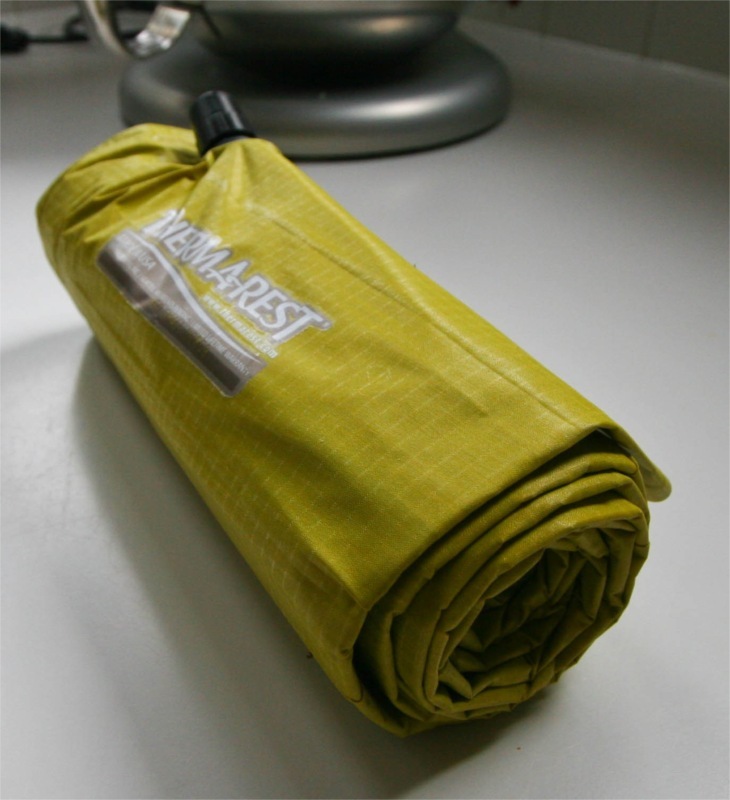 This entry was posted in Backpacking, Gear Reviews, Sleeping on April 8, 2009 by brett. So what are the options for other hikers with a pillow fetish? Bob mentions the Montbell UL Comfort System Pillow, which at 2.3 oz might be a pretty good nights sleep. The FlexAir Ultralight pillow. Totally waterproof and at 0.56 oz gives Bob a whopping 1.74 oz refund. Not to mention the $20 of so in savings, as these puppies run $6.29 for a 3-pack. I actually did try the FlexAir on our Rampart Lake hike – it faired pretty well, although needed to be slightly deflated for the most comfort. These days I&apos;m back to the old stuff-sack of spare clothes approach and pretty happy with it. Give me a few Tylenol PMs and a flimsy torso pad and I&apos;m a happy camper. This entry was posted in Backpacking, Gear Reviews, Sleeping on July 1, 2008 by brett. Theresa gets cold at night. The one big drawback of the cloudburst shelter is that to prevent condensation, we often sleep with the door fully open and facing into the wind. That way the airflow keep condensation to a minimum. The only way I could convince Theresa to keep the Tarptent, was to get her comfy at night. The highlite didn&apos;t do it when the wind howls in and the temperatures drop. 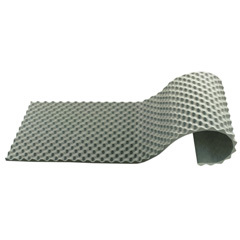 So we took on an extra pound of weight, invested a lot of dosh and settled on the WM Versalite. Theresa has the short (5&apos;6") model, which weighs in at 1lb 14oz (30 oz). This bag is rated down to a whopping 10 Â°F and does a stellar job at keeping her toasty warm. Available from Backcountry Gear for $385. This entry was posted in Backpacking, Gear Reviews, Sleeping on July 21, 2007 by brett. Starting at a respectible 7.8 oz, this is a very interesting pad. It&apos;s quite thick and was a good candidate for replacing my thermarest. I trimmed the length down to match that of the 3/4 length thermarest I was used to. 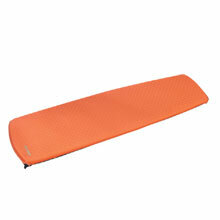 This dropped the weight to 6.3 oz – less than half the weight of the thermarest. Sleep-wise, I have only spent one night on it so far, and it was comfortable enough. I have seen other people recommend taking "Tylenol PM" at night to help get more rest – I might even try pairing those up too. The biggest downside so far, is that it&apos;s bulkier in my pack than the thermarest. To the point where, I&apos;m not sure if I can get 5-6 days of food in my pack anymore with this thing in it. Order from Gossamer Gear, for about $30. I ended up replacing this single pad for the a combination of the torso only pad version and cut down section of insulation pad. This was mostly due to the bulk issue. The two pad total less, coming in at 3.5 oz and 1.2 oz respectivley for a total of 4.7 oz. This entry was posted in Backpacking, Gear Reviews, Sleeping on June 25, 2007 by brett. A true ultralight enthusiast would be sleeping on a bed of dander and leaves in the forest. However, I like a good nights sleep, and this thermarest does it for me. Granted, a little bit of a luxury at a whopping 13.1 oz. 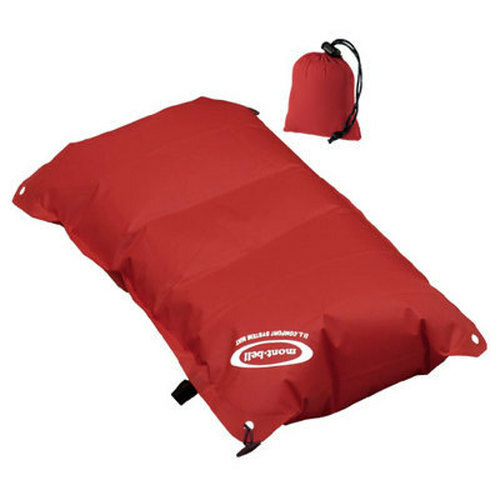 Get the short 3/4 length model – you really don&apos;t need anything longer – just drop your pack at the bottom for your feet to rest on. Available from Amazon for $67. This entry was posted in Backpacking, Gear Reviews, Sleeping on September 8, 2006 by brett. 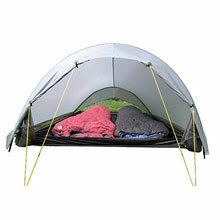 This is the ultralight tent of choice for two in my mind. It&apos;s an incredibly light 38 oz., and goes together in a breeze. The quality and workmanship is excellent in this tent, and I love that I am buying a tent from a passionate backpacker in California who decided to start sewing his own one day, than handing over my hard earned cash to the pockets of a big company like Mountain Hardware or REI. This is a "Tarptent" – it&apos;s a compromise between a regular tent and sleeping under a tarp. It has a waterproof floor and bug netting all around, so little critters can&apos;t get in at night. The only downside for me so far of this tent, is that as it&apos;s a single-wall tent, depending on the dewpoint you can get condensation on the inside. It&apos;s not a problem until you bump your head on the top and it starts dripping. Available direct from TarpTent for $225. First all, I have to say, I love Western Mountaineering. Occasionally there are heroic companies in the outdoor world that push new boundaries. This is one of them. They make products that are both unbelievably light and well made at the same time. Kudos WM, I hope you never get too big you forget your niche. Now back to the bag. This bag is the bomb. It weighs in at an incredulous 15 oz. and is respectably toasty to boot. 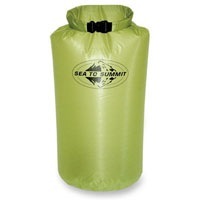 Its a down bag, that packs to almost nothing, and is rated to 35 Â°F. We&apos;ve slept in it down to around 28 Â°F degrees wearing thermals. I was on the edge of cold, but mostly stayed warm. 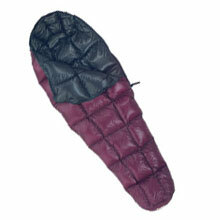 The experience was too cold for Theresa and she&apos;s since switched to the Versalite, a 10 Â°F bag. The versalite is riddiculously warm. This bag is an ultralight backpackers dream. The top 3 heavies are sleeping bag, tent and backpack and this almost eliminates one of those from the map. The only downside? It&apos;s very spendy, at over $200! But IMHO, worth every penny. Save for this bag and you won&apos;t be disappointed. Available from Backcountry Gear for $230. This entry was posted in Backpacking, Gear Reviews, Sleeping on September 7, 2006 by brett.